“So your back hurts! Live with it! It is normal with age.” If you have heard these statements before and don’t believe this is a correct way of thinking, you are right. These pains are not normal occurrences and should not be taken lightly. The Family Chiropractic Center of Nutley can correct these problems. This website will provide you with the knowledge on different types of back pain and other conditions that chiropractic care can help. We want you to experience a life of wellness and true health. Dr. Nicholas F. Stabile received his Doctorate in Chiropractic from Life University in Atlanta, Georgia and his Bachelor’s of Science degree in Exercise Physiology from William Paterson University in Wayne, New Jersey. Dr. Nick, as his patients refer to him, is a Certified Instructor for Chiropractic BioPhysics Technique (CBP). CBP is the most researched and index medicus published chiropractic technique in the world. CBP technique utilizes the most advanced methods in the restoration of normal posture and spinal positioning. 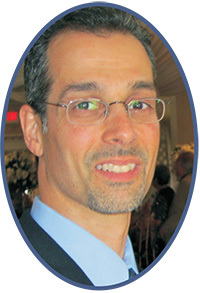 While currently maintaining a busy chiropractic practice in Nutley, New Jersey, Dr. Nick assumed the practice and name, Family Chiropractic Center of Nutley, from the family of the Deceased Arnold F. Taub, D.C. who practiced in Nutley since 1970, and helped to develop CBP in New Jersey and was a mentor to Dr. Nick. Dr. Nick is an adjunct professor at William Paterson University with the Exercise and Movement Science Department. William Paterson’s Exercise and Movement Science department offers concentrations in Exercise Physiology, Athletic Training and Teacher Certification programs. He has been named the official chiropractor for the New York Red Bulls formerly the MetroStars, New Jersey’s own professional soccer team. The Red Bulls vision is to be the American soccer team that every player wants to be a member of and every soccer fan wants to support. Dr. Nick and his wife Dr. Wendy, who is also a chiropractor, lecture on health related topics as a community service to businesses, government agencies, athletic and social organizations in and around the Nutley area. Recent topics have included Lowering Blood Pressure and Cholesterol Levels in Six Weeks without Medication, Stress Management and Improving Athletic Performance. Enough about me! How can we help you with today’s safe and natural chiropractic care? Give our Nutley chiropractic office a call so we can help you take your first step towards better health.